We had expected them to come yesterday. But when Columbus Day happened, and the Connecticut Ferries booked up solid, it pushed their arrival to today. So we took lemons and made lemonade, and cleaned a little more and then biked over to the Tuttles to pick fresh flowers for their arrival. 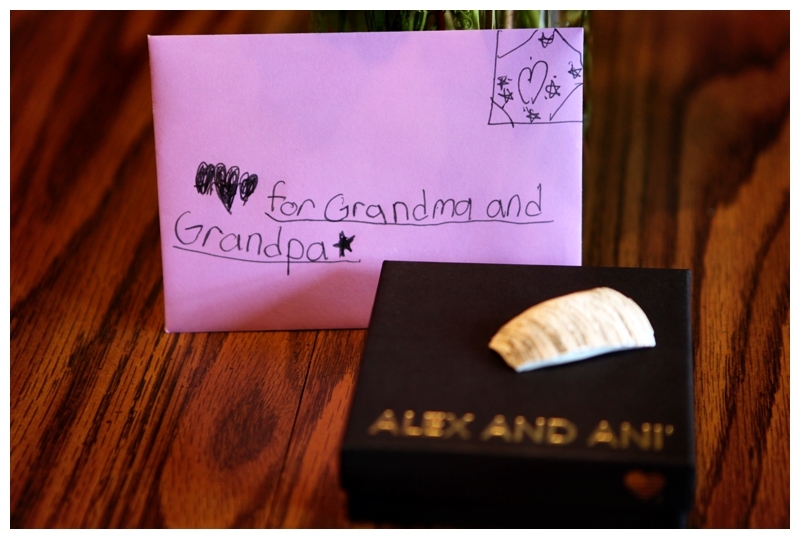 Ellee wrote up a card and carefully placed a special shell for Grandma on top of a new Alex and Ani bracelet that we picked out because it was beautiful and it reminded us of her. 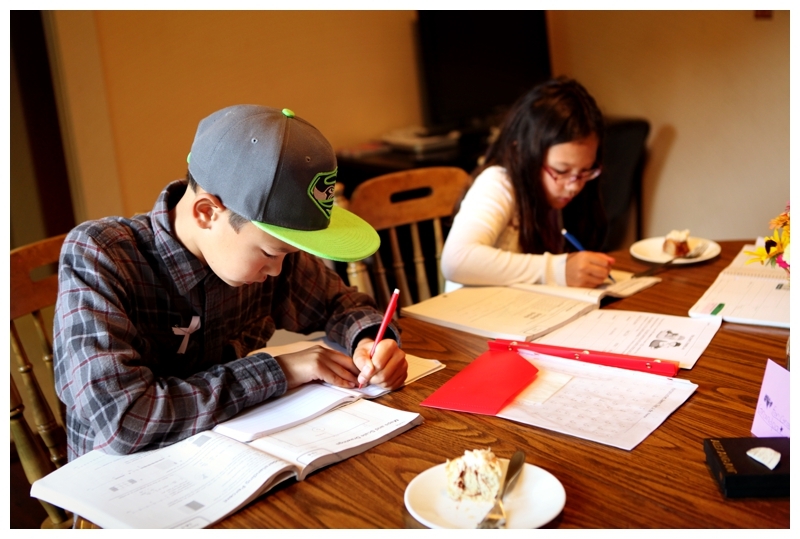 And when they raced home from school and found that they still had a good twenty minutes, they grabbed a snack and then sat down diligently to get their homework done as quickly as they could. And just after Daddy got home, their excited little voices called up to where I was just putting a clean comforter down in Christian’s room which was transformed for the visit. 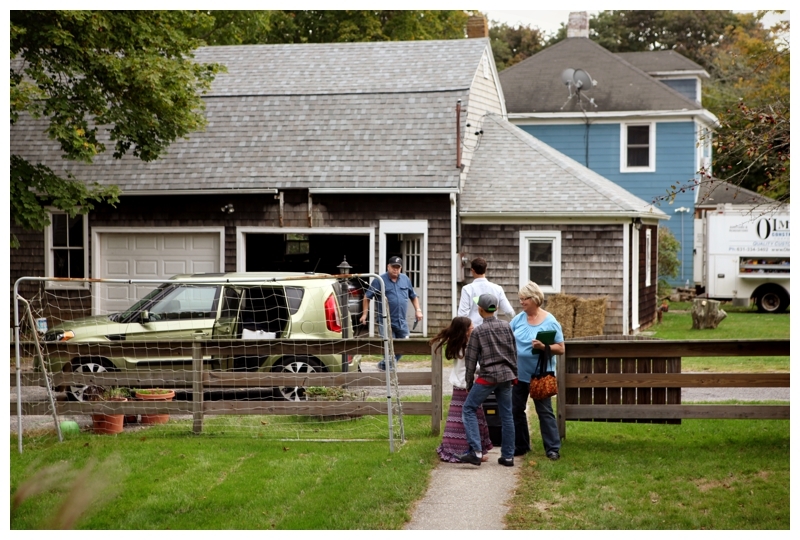 “They’re here,” they shouted and then we all raced out to greet them. 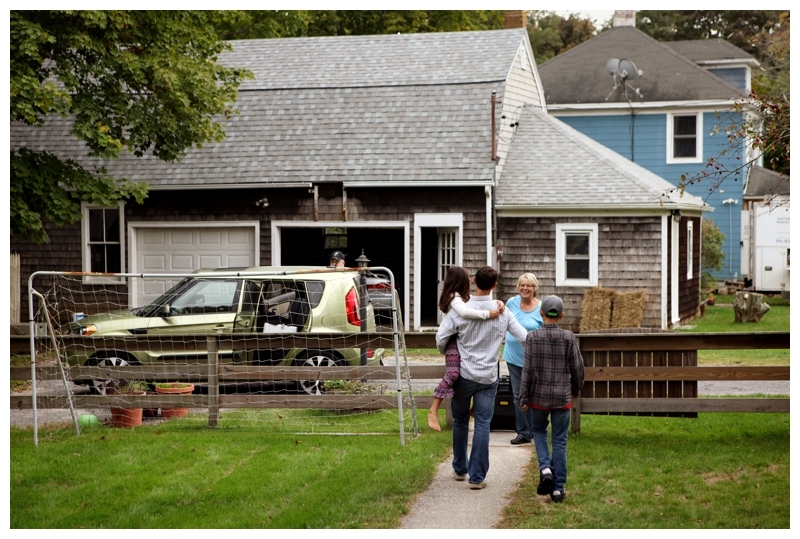 And seeing your your Midwest and your East Coast families collide… It’s a precious and beautiful thing, it is. It’s an understatement to say that we are thrilled that my parents are here to visit for the week. Something about the Fall has made my heart long for extended family and they are finally here. We’ll spend the next few days all together, catching up and celebrating Christian’s birthday. 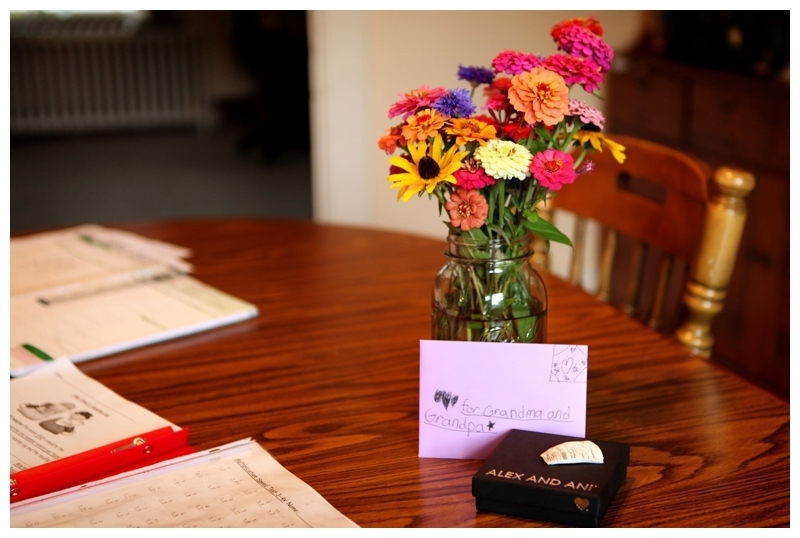 We’ll shop and eat and play and I’ll whisper quiet prayers of gratitude for something that we don’t take for granted, because it happens only a few times a year. They’re here. And we could not be happier or more thankful.